Went to a ceremony today honoring Stitzel-Weller’s longtime employee, Carroll Perry — or just Perry to most. 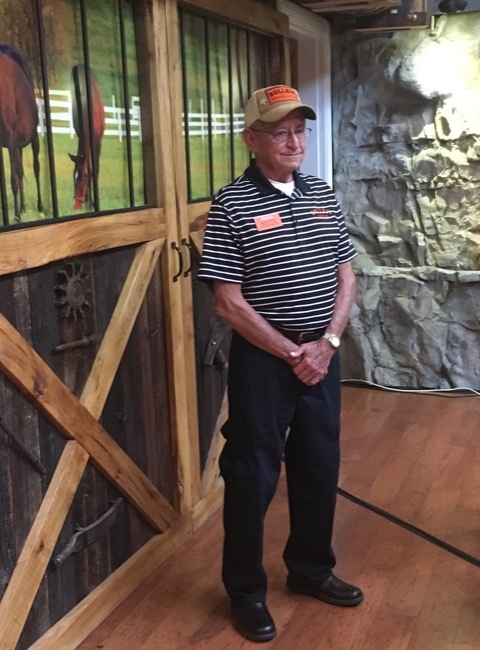 He’s been working at the Shively distillery for 47 years and now is the gate keeper for the Bulleit Experience. He’s the first guy you’ll meet when you pull in to do a tour. Here’s a quick write-up of the morning press conference. I was so eager to get back and write the story, I didn’t even stay for a bourbon tasting. I think I should win something for that.